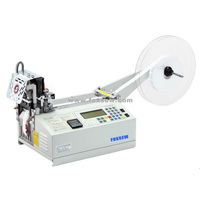 Product categories of Cutting Machine, we are specialized manufacturers from China, Cutting Machines, Automatic Cutting suppliers/factory, wholesale high-quality products of tape cutting machine R & D and manufacturing, we have the perfect after-sales service and technical support. Look forward to your cooperation! 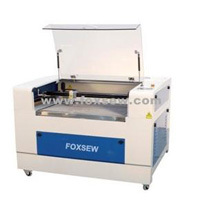 FOXSEW Cutting Machines include full range of Cutting Machine equipments for Garment Industry, like Eastman Type Straight Knife Cutting Machine Series , KM Type Straight knife cutting machine Series, Round Knife Cutting Machine, Tape cutters , Hot Cloth Drill, Mini Round Cutting machines, End cutters , Laser Cutting Machines, etc- Full range machines provide full range service for our customers ! 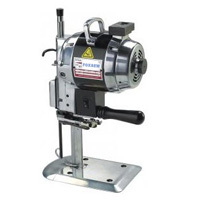 So, what cutting machines you need, you can find them here ! In the world market of Cutting machines, Eastman, KM, are the top 2 brand, but in China FOXSEW is the top 3 famous brand, what we want to do is that: FOXSEW will become the No.1 Brand of cutting machine in China, become top 3 brand in the World ! Now, we can supply customers not only Eastman Type Cutting machines, but also KM Type cutting machines, compared with them, FOXSEW have the biggest advantage--- competitive prices ! Actually nowadays, FOXSEW cutting machines` quality is similar with Eastman, KM, what we should do is to prompt FOXSEW Brand become the World Famous Brand ! So, we need your help--- our respected customers ! FOXSEW need you ! Also we hope you need us---FOXSEW !